When you look at your fresh and clean bed covered with soft sheets, you would never suspect that there is a whole other world that hides in there. You don’t see it, but that doesn’t mean it’s not there. Your mattress is the perfect environment for millions of small bugs that feed on your dead skin, also known as dust mites. It’s not only that they look gross: they are the major cause of asthma and a series of other allergies. Microscopic arachnids (eight – legged creatures like spiders), 0.3mm long. They live in areas such as mattresses, couches and frequently used furniture and carpets. The life span of an adult dust mite is 80 days. A female mite can lay between 40 and 80 eggs. 45% of the households have dust mites. A typical mattress contains between 100,000 to 10 million mites. The source of allergies is their waste – skin and faeces that constitute a major part of the house dust. 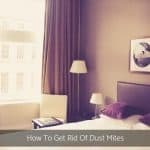 Dust mites can produce 200 times of their body weight in waste. 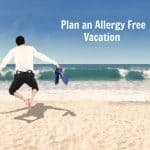 Symptoms like sneezing, runny nose, reddening eyes ,eczema, itchiness, skin rash and clogging of the lungs are associated with dust mite allergies. 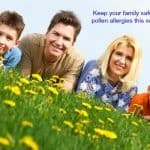 Some individuals are predisposed to allergies, especially those with asthma. Over time high level of dust mites and their waste can affect non – allergic people. Fully encase your mattress and bedding with dust mite covers. Reduce the temperature and the humidity of the bedroom. Wash covers and sheets often. The best time to clean mattresses is late winter or early spring. Use an air purifier to clean the air. Beds with wooden frames are the best. Since some strong cleaners can aggravate the allergies it is better to consider natural cleaning ingredients. Use a baking soda solution: mix one part baking soda and two parts water then spread it across the mattress with a cloth. Wait for 30 minutes and wash it with hot water. Vinegar makes a great green detergent. Sunlight or cold kills the dust mites. Bring your mattress out. Leave it outside on a bright sunny day for a couple of hours. It will help reduce the mites. So, what’s it like at your place?